Vintage Place Rooms is located in Limenaria of Thassos Island less than 200 metres from the sea, surrounded by pine trees and overlooking views of the sparkling blue Aegean. We've created for you a special place to have a peaceful and relaxing holiday in Thassos. Ideal for friends, families and couples, we offer 3 rooms that come with a private bathroom and a fully-equipped shared kitchen. The rooms can be rented individually or together as a big apartment. Our unique ροόμς await you, with the promise of making you feel at home during your holiday! 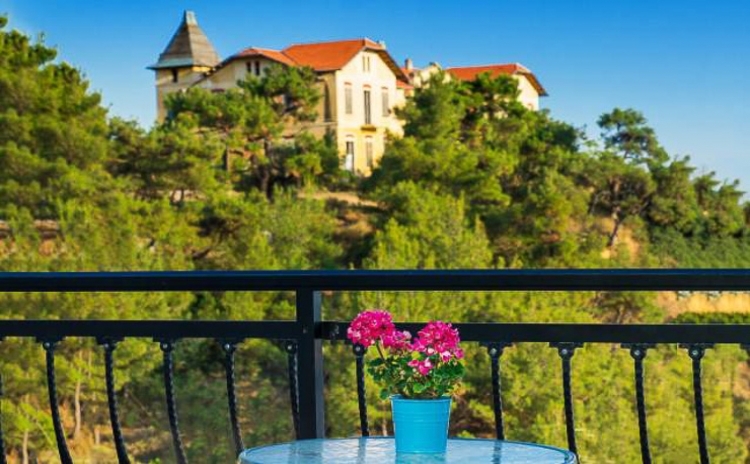 Vintage Place Rooms is located in Limenaria of Thassos Island less than 200 metres from the sea, surrounded by pine trees and overlooking views of the sparkling blue Aegean.